Do You Want To Know How To Become Wealthy? Becoming wealthy is incredibly easy. Everyone seems to complicate the process and are manipulated by the media. There is no secret sauce to becoming wealthy or successful, also it’s not evil too become wealthy – It’s human nature to constantly improve and keep moving forward. Our entire society is built on Keynesian Economics. This is a freaking joke. This is because it’s based on spending money to grow the economy. When times are good this works fine, however when times are bad we must print more money in order to keep growing our spending. I believe the idea of going into debt is bad for the micro economic as and eventually at the macro scale – albeit delayed significantly.However the simple truth is that’s crappy model and doomed to fail. So really just stay out of debt and put your money in assets that will produce an income. While everyone else is spending more than they make and on completely useless junk you will be stockpiling money and leveraging the money you have to make more. I get funny looks all the time because I drive a rusted out, crappy looking old Jeep. I mean this thing is a 1999 Jeep, but it runs like a top. I picked this baby up for $1,800 and have put in about $350 fixing stuff when it breaks. However all of my friends drive $20k+ cars and their car payments are around $400 or more! So they are paying interest AND they are paying for the depreciation of the vehicle. It’s madness, now obviously you don’t need to get this crappy of a car (very mechanically sound) but you can get a great car for $6-10k and if possible don’t finance it. If you live life without debt you will be able to get so much farther ahead, and you will live a very comfortable life knowing that no one is going to come and take your car because you missed a payment. Hope that helps, it can be hard to stick to no debt – but it is worth it! 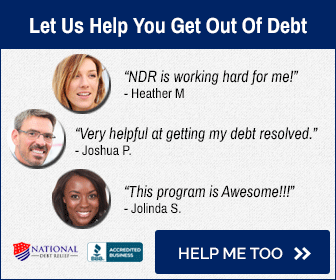 If you need help getting out of debt I found a great resource that helps you manage and get out of you debt. Feel free to check out my review and see if it fits for you. Becoming wealthy is very easy, I break it down into two simple steps anyone can follow in this article.